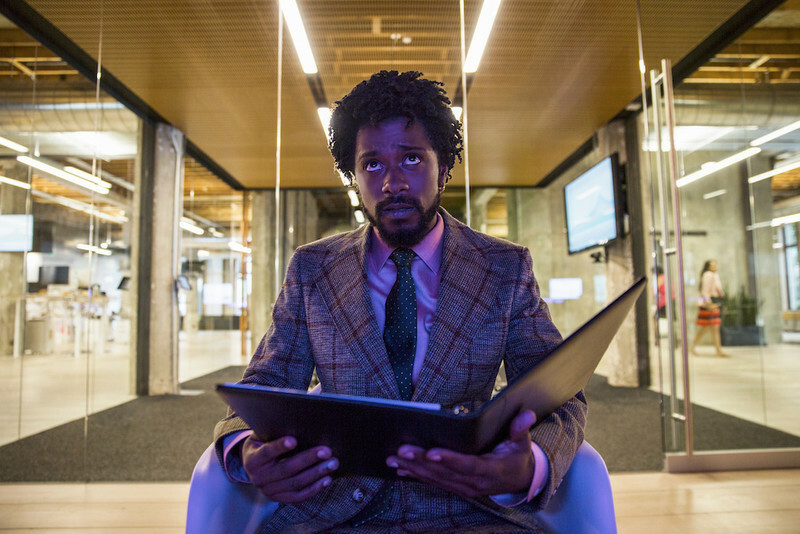 A cultural hit ever since its first showing at last January’s Sundance Film Festival, Boots Riley’s enigmatic “Sorry to Bother You” is now a blockbuster for those who crave explosive ideas, as articulated by off-the-wall filmmaking. 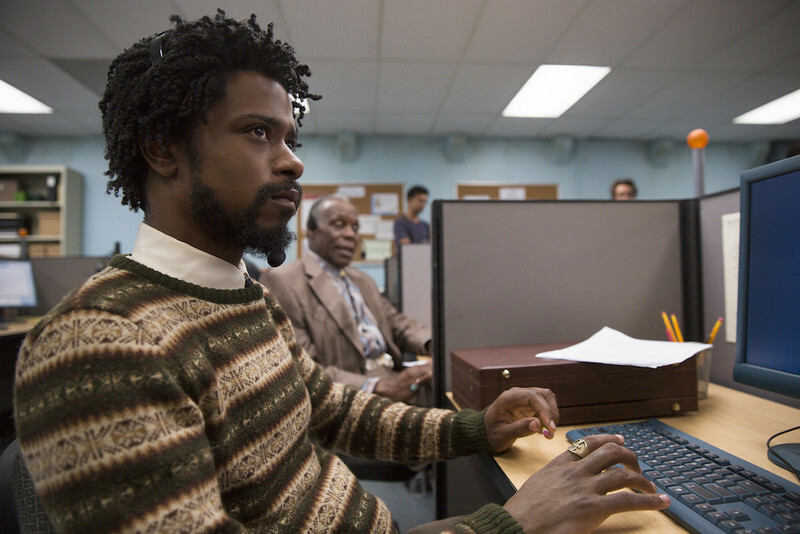 Lakeith Stanfield stars as Cassius “Cash” Green in the film, playing an average guy that we all recognize: someone working a crummy job, in this case in telemarketing, just to pay the bills, while society at large continues to crumble piece by piece, everyday. As one of many employees of color being exploited for their labor, Cash starts to advance beyond his peers when he’s advised by a co-worker (Danny Glover) to use his “white voice” when making his calls. The breakthrough sets off a bonkers tale of Cash’s ascension through a cruel capitalist system that dehumanizes lower-level employees and customers alike, while freer spirits such as his radical artist girlfriend Detroit (Tessa Thompson) and unionizing co-worker Squeeze (Steven Yeun) fight back against their not-so-far-off dystopia. Offering plenty of riffs about about capitalism, race, entertainment and so much more with sci-fi, horror and comedy rhythms, Riley’s film defies convention as much as it does a mere plot synopsis. 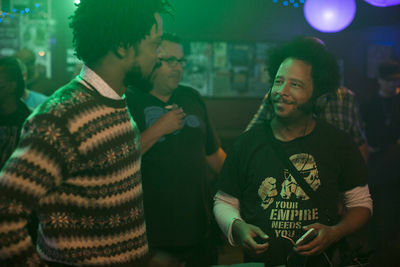 The film is Boots Riley’s first as a feature writer and director, but as he tells me in this interview, it doesn’t come from a place too different than that of his songwriting. 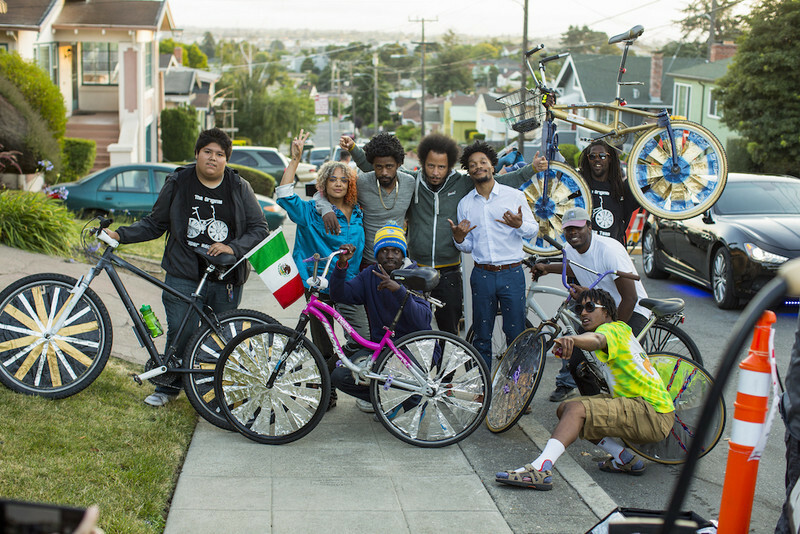 His band The Coup had been his previous main artistic outlet, a group that takes a similar kitchen sink perspective by blending funk, hip-hop, punk and pop for songs that equally defy categorization and the powers that be, and are filled with lyrics of a visual quality. 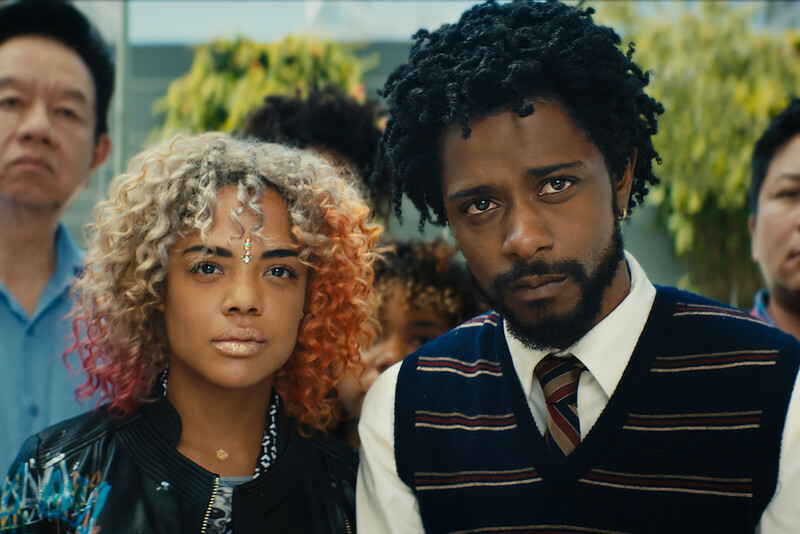 Before "Sorry to Bother You" was a feature film, it was also the basis of a 2012 album by The Coup that comes highly-recommended. On the morning of the film’s official release, RogerEbert.com spoke to Riley about some of the nuts and bolts in constructing the movie, the time that Taco Bell wanted to buy one of his songs, bending the reality in his storytelling and more. The first time this was shown at Sundance. What was the moment you felt people got it, or were on the same wavelength as you? Dude, I don’t know. I wasn’t present. It was nerve-wracking, you know. I’m used to performance, where you can say, “Ok we need more energy for this crowd,” or "let’s cut to the bridge. Here’s a song we’re going to play next." I was sitting there, I was physically tense, my muscles were … I had never done that performance wise. I can kind of now remember, “Oh, people were laughing at this part” but it felt bad [laughs]. After that screening, though, and seeing the Q&A, kind of let me know how people were feeling and in a bit more detail. Then all of the screenings of that during Sundance were a lot easier. Is there any similar creative aspect to writing a catchy song with writing a scene? For me, often I am translating—when I’m writing songs—I’m translating scenes, things that happened in real life, things that I’m picturing that I’m translating those things into poetry. For me, it was just getting rid of one. They feed off each other? Throughout my whole career of writing songs, I’m picturing things like scenes, and even when it’s not a story song, I’m picturing, “What is the poetry, what is the meaning behind this idea or this thing that’s in the real world?” So this felt like I didn’t have to do any translating. I can imagine this thing. It was a lot easier for me to write a screenplay than it was to write songs. I can’t think of many musicians-turned-filmmakers who would say that. I do quite think a lot of people don’t put a lot of effort into writing songs as I do [laughs]. You’ve always been a storyteller. Not always. Some of them aren’t storytelling. But, it’s about, with songs you’re dealing with getting to the essence of something, striking upon something new that illuminates. You’re also dealing with identity, because how people listen to it is like, “This is me, this is my song.” You’re dealing with all of these things that I don’t have to deal with when writing a screenplay. How precise is your visual planning when it comes to filmmaking? So much of it is in the script. And then what wasn’t in the script, I storyboarded a lot of the stuff out. However, we didn’t use any of that. During the director’s labs, I started learning my lesson. One example is, I originally had for the opening interview scene, I had this whole storyboard and diagram set up where it would be a figure-eight around Cassius and Anderson. We were going to start on Anderson’s face, and then go around his head and reveal Cassius for the first time, and then go around his head, etc. I don’t know if humbling, but it made sense. Well, besides that, there’s so much you can get from the actors doing their thing, and figuring stuff out that changes how you might shoot a scene. You can have a prepared thing, and get the actors to fit into the boxes that you want. But it’s not going to be better than playing it off the performance, and let the performance lead. 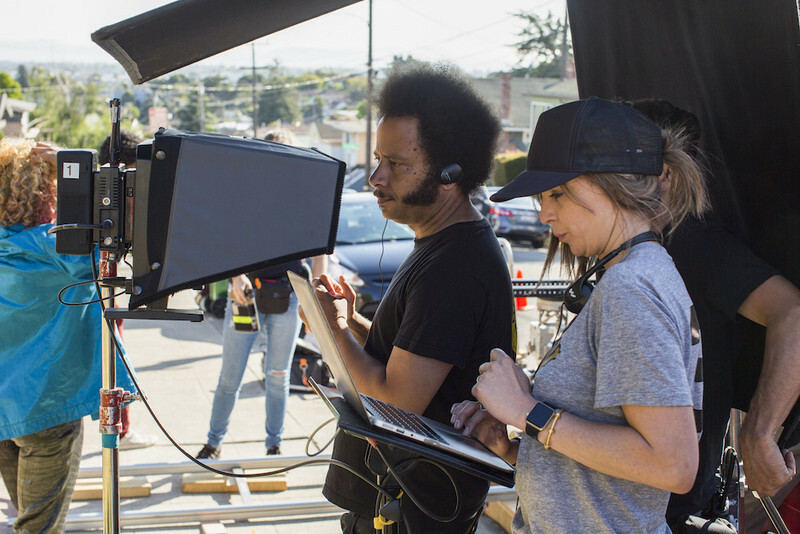 Compared to music, how do you feel filmmaking works when it comes to autonomy? I think it came in after I wrote the first scene. At some point it was called something really indie sounding, like “Little Victories,” I think. Then this was something that I felt not only fit what was happening and had other meanings, but sounded broad, and kind of sounded like a Judd Apatow title, or something like that. How much of you can we see in Cassius? I wrote all of these characters as pieces of me. There’s the artist, there’s the organizer, there’s the guy trying to make funny quips, and then there’s the guy trying to make his life mean something. Have you ever encountered the idea of selling out? It’s always … well, I don’t know what that actually means. But there are always choices I have had to make around what I will and won’t do for money. Like, Taco Bell wanted our song “Magic Clap.” They were so sure that we were going to do it that they made the commercial before they asked us—part of their presentation was the commercial they had made [laughs]. And it was like, even with that it was going to be THE song. I wouldn’t have been able to perform it without anyone thinking about Taco Bell. Were you thinking about that when you were writing this movie? That was for “Magic Clap,” so I already had this movie. But many other things like that have come up. We’ve turned down money. I'm very curious if there were any ideas that you didn’t get into the script. You see, my writing style is, I move up a little bit at a time, I move up and go back a little bit. I’m not just like ... [gibberish sound]. But there’s so much going on with the story. All of the weird things that are in there are needed. I didn’t set out to write something with all of these fantastical or absurdist elements. It was just, as I went along, I realized that … part of my writing process is to parse out what ideas of the world I have that are given to me from other people’s artwork. So like, for instance, the noon-time cafe date. Why is that in so many people’s movies? I’ve never had a noon-time cafe date. But it gets in so many movies, because in someone’s head they’re like, “Oh, they have to meet!” Or they’re going to go on a date, and it’s a noontime cafe date. But it’s been in other movies, and that’s where it comes from. It’s not from their real life. And so, with songs I’ve always liked to, that’s how you avoid cliches, to think about what you really think about the world, to think about what you really think about that subject. And for me, a lot of it when I think about something has to do with the context. And so, the context of that action in the world are something larger, things that are thoughts. How are you going to get that in there, are you going to have voiceover with what someone’s thinking, or someone is going to say what they’re thinking? It’s going to be pretty cliche. So what I realized is my way of context is to bend the reality of what is happening, because then it brings this idea. How did this inform the biggest turn in the third act (which I won’t spoil)? So, as I went along, it was things that were needed. At certain points it would be like, “I want us to be going through this as well. So how do I visually make the audience feel like they’re going through what he’s going through?” And so these were things that I felt were needed, like how do I make this urgent. I really needed him to see himself. I wrote the rap performance, and then I was like, that doesn’t make sense in the context of … he’s in this world where there’s chattel slavery and people are accepting it, and he’s selling them. Why would that change his mind? I realized that I’ve created this big world, and for it to be realistic to me, it needed something that shook him to his mortal core, that was so out of where we were, that it made sense. The absurdity makes sense, and it’s interesting that it’s not where you start. It’s kind of crazy backwards, in the best way. You see, I don’t know how anyone else did it. As someone who has had the spirit of this movie in you so long, across different mediums, what keeps you believing in the idea of protest, rebelliousness? Well, I see it. West Virginia teachers just shut down the whole state. A couple years ago, Wal-Mart workers went on strike and were met with militia. There’s rebellion going on, people are doing stuff, they’re trying. The object of the news is to put all of these problems out there like, blah blah blah, and there’s no analysis to it. There’s no analysis of how the economic system works, and which is what’s making all of these things happen. It puts it all into, “This personality did this, and they’re crazy.” And “This personality did that.” It makes it be this jumble of bad noise, and I think having this analysis of the way the system works. Does that mean better journalism? Or more overall discussion? It means a class analysis, that shows what the primary contradiction in this system is, and what that primary contradiction boils down to is the exploitation of labor. Knowing that contradiction gives you the insight of how things can change. This is Reality: Jacob Latimore, Jason Mitchell and Algee Smith on "Detroit"